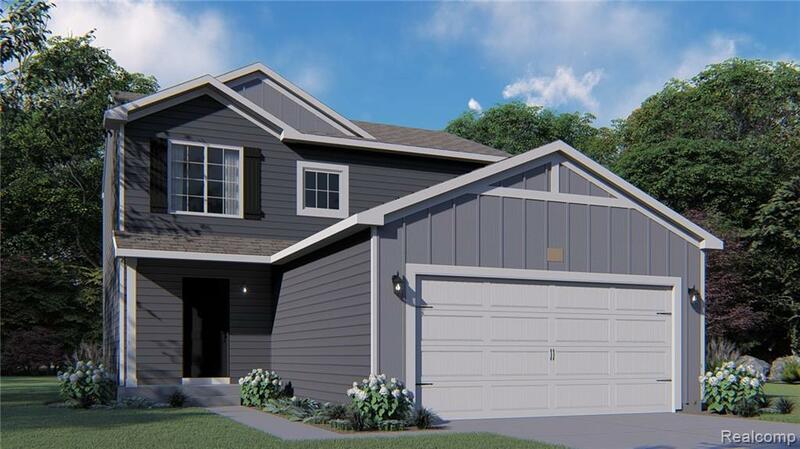 New construction, one our newest floorplans, to be complete summer 2019, 3 bedroom, 2.5 bath home in Red Cedar Crossing, in the Fowlerville Community SD, easy access to I-96. Red Cedar Crossing has a quiet feel, sitting on the edge of Fowlerville with easy access to the highway that connects Lansing with Brighton and Detroit-area communities. Red Cedar provides small-town options, including a farmers market and historic downtown. RESNET ENERGY SMART NEW CONSTRUCTION, 10 YEAR STRUCTURAL WARRANTY. This traditional two story home features 3 bedrooms, 2.5 baths and over 1,500 square feet of living space. Welcome home to a large great room which has open sight lines into the kitchen and eating nook. The first floor also includes a guest powder room, laundry room and mudroom. Head upstairs to the master suite, with a private bath and walk in closet. 2 more bedrooms and a full bath round out the second floor of this floorplan. Home is 17 years newer than other homes in same price point.